Amazon's selection of New York City and Arlington, Virginia, as the site of the company's two new headquarters has attracted a great deal of media attention, and for no small reason. In the statement announcing that New York and the Washington, D.C. metro area would be joining Seattle as the online retail giant's second and third North American headquarters, Amazon said that the new facilities represented a $5 billion investment that would create more than 50,000 jobs, with 25,000 at each location. Much of the media narrative was also driven by the backlash that Amazon faced from residents of the Long Island City neighborhood of Queens, who expressed concerns about the arrival of Amazon HQ2 driving up rents, and anger over the billions of dollars in city and state tax breaks that the corporation was receiving. Somewhat lost in the national conversation was Amazon's concurrent announcement that the company would also be opening an Operations Center of Excellence in downtown Nashville, Tennessee, with hiring set to begin in 2019. Amazon says it plans to invest $230 million and create 5,000 high-paying jobs at its new Nashville location. While those figures are fractions of the numbers being promised to New York and metro D.C., it's still exciting news for Music City, which is also set to benefit from an estimated incremental tax revenue of more than $1 billion over the next 10 years. While Amazon is poised to receive up to $102 million in performance-based tax incentives for its investment in Nashville, there are a host of other relevant factors that helped the city land such a big fish. As is the case with almost all real estate, location was one of the biggest determining factors when it came to Amazon's decision. And while Nashville is known to have a vibrant downtown, that wasn't the only reason for the company's move there. "The location is really important," Murat Arik, director of the Middle Tennessee State University Business Economic Research Center, explained to Supply Chain Dive. "Nashville is at the heart of population centers, and whichever angle you look at, you can reach half of the U.S. population within a single day drive." You can also reach two of the largest logistics providers in the country in about a three-hour drive, according to Julie Niederhoff, an associate professor of supply chain management at Syracuse University. Three hours west is Memphis, which boasts the largest FedEx Express Hub in the world, while three hours to the northeast is Louisville, which is home to the largest automated packing handling facility in the world, UPS Worldport. Nashville's central time zone location also helps the business cater to clients on both the east and west coast. Nashville's centralized location could make it a strong link in the Amazon supply chain. The Nashville Center of Excellence is not a warehouse facility, which makes sense, given that despite its proximity to major logistics providers, the bustling downtown location would not be ideal for frequent truck traffic. "This isn't going to be 5,000 people working on packing up people's Amazon physical orders. It's going to be more of a managerial, strategic operations," said Niederhoff. "From my understanding, the New York and D.C. offices are going to be looking at where can we develop new services, acquire new startups, and what's next. The operations team is 'how do we make that happen.'" The 5,000 white-collar employees tasked with figuring out "How do we make that happen?" will be earning somewhere in the salary range of $150,000 per year. 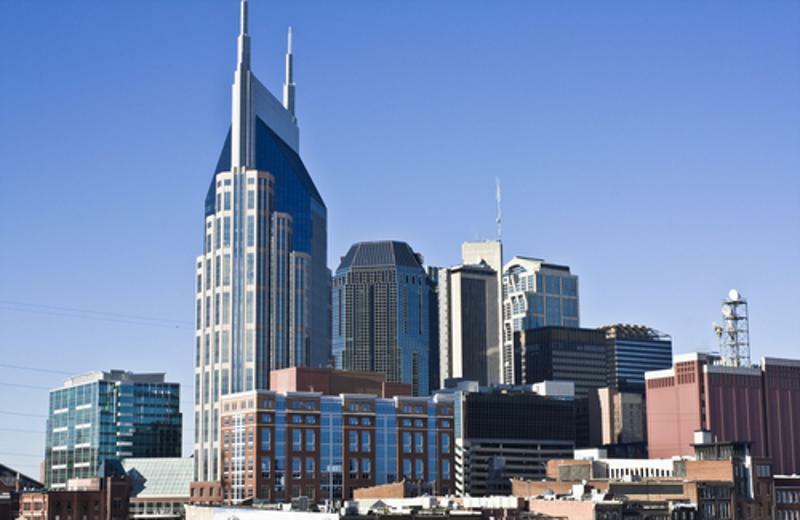 Nashville offers a rich talent pool for Amazon to draw from, as the city is already playing host to the corporate headquarters of companies like Nissan North America, Dollar General Corp, Mars Petcare, Tractor Supply and Caterpillar Financial. Amazon will not just be confined to Nashville's home-grown talent pool, though, as the city is fast becoming one of the more popular destinations for young people. From 2000 to 2017, the Tennessee capital's population expanded by a whopping 45 percent. And although housing values have shot up an even more remarkable 75 percent over the last 10 years, the National Association of Realtors lists the city's median house price at $262,600, which is still just a little over half of the median house price in Amazon's native Seattle. Workers recognizing how far their six-figure salary could go in a town like Nashville might jump at the chance to move there, especially when considering the area's rich cultural benefits. While some may still associate the city with the Grand Ole Opry and a general honky-tonk personality, that's not the Nashville that new transplants are likely to discover. 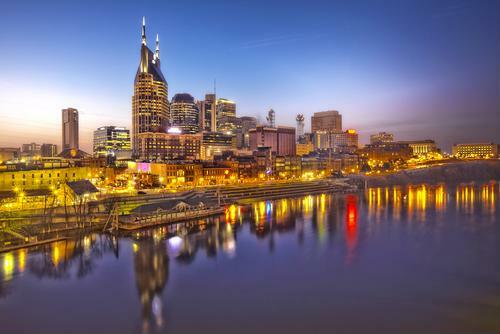 With an average of 100 new folks moving in each day, Nashville is currently one of the biggest boom towns in America, according to Forbes contributor Peter Lane Taylor. That huge surge in numbers is creating a hip food and bar scene, and also building up increasingly trendy neighborhoods. Nightlife attractions scored with live music are a big selling point for millennials, who also appreciate the fact that the town remains relatively affordable when compared to big cities like New York and D.C.
Nashville's political leaders also pitch the city as being progressive yet pro-business, which helps explain the perpetual sight of cranes downtown building new additions to the skyline. While not every aspect of a town can be imitated - especially not geographic location - there are many ways in which Nashville can serve as a model for other cities looking to reap the economic rewards of becoming valued links in a supply chain.